Are you looking to sell your house quickly in Cardiff? While it can be difficult to guarantee a fast sale, that is exactly what we do! Accelerate Homes partner with some of the United Kingdom’s leading cash property buyers. Our network have over a decade of experience in the industry and have helped thousands of customers sell their house fast in Cardiff. We can help you achieve an extremely fast sale on your property – often completed in as little as seven days! Our recommended partners purchase all types of residential property in England and Wales, regardless of the condition. Recent purchases have included property that is suffering from damp and dry rot, fire damage, flood damage and even subsidence issues. No property is off limits! Our partners have significant cash funds, which means they do not rely on third party lenders or investors that can slow down the process. Furthermore, they do not charge for their service, and you are under no obligation to proceed with a sale. If you’re experiencing financial difficulty, relocating or even just having trouble with the traditional sale methods, Accelerate Homes is here to help. In this expert guide on how to Sell House Fast Cardiff, we will cover the process you can expect, our approach to delivering a quality service and how we help our many clients. If you want to get started right away, please contact us for a free no obligation quote. We will connect you immediately with one of our friendly cash buyers. Are you having trouble selling your home using the conventional methods? Currently, over 90% of homeowners turn to estate agents to sell their property. However, while an estate agent may be able to achieve a higher market price, the process can be lengthy, time-consuming and expensive for the average homeowner. Typically, estate agents within the UK take 1.3% commission, including VAT. However, the commission can vary significantly depending on the agent and can be as much as 3.5%. There are also numerous additional costs to include such as legal fees, home repairs, preparation of your home (viewings) and ongoing mortgage repayments. These can quickly add up and eat away at your bottom line. Furthermore, the average house sits on the market for over 90 days. If you need a quick house sale, this is far too long! Accelerate Homes offers the perfect solution for frustrated homeowners in Cardiff. We partner with a select group of cash buyers who guarantee a cash offer on any property they value. If you need to sell your home fast, please contact us or fill in our online form. We understand that you may be under extreme pressure to sell quickly, for any number of reasons, which is why we immediately connect you to one of our recommended cash buyers who will provide an initial cash offer to you within 24 hours. Our goal is to find the best solution for your situation, and our cash buyers are on hand to answer any questions or clarification you need. 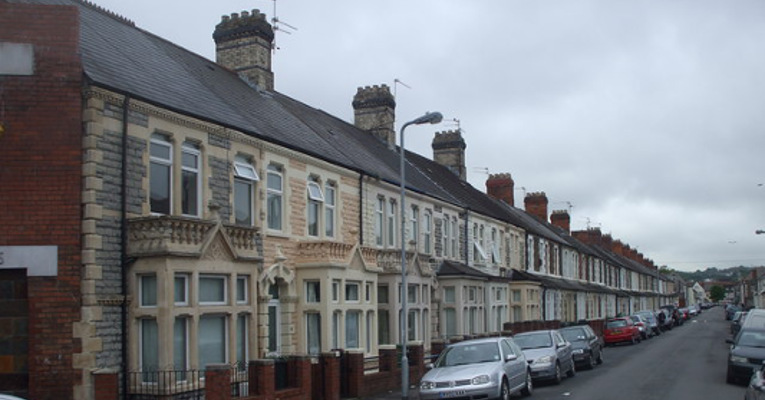 The initial quote is provided using the latest valuation tools, our partner’s experience operating in Cardiff and a combination of factors relating specifically to your home such as location, style, size and condition. After the initial offer, an independent RICS surveyor will visit your property at a time convenient to you. With traditional methods of sale, surveying is paid for by the homeowner. At Accelerate Homes, our recommended partner will cover the cost, so you are never out of pocket. After reviewing the RICS surveyor report, our partner will issue you with a final offer, which may differ slightly from your initial quote. All surveyors are external contractors, and we guarantee a fair and honest appraisal of your property. Unlike some other cash buyers in the market, the final offer will never change. Please be wary of corrupt cash property buyers in the market who often change their final offer at the last minute. Please see our comprehensive guide on fast property buying scams. Once you are happy to proceed, our recommended partner will start organising the paperwork and legal formalities. All you need to provide them with is your preferred completion date. They are extremely flexible and work around your schedule, completing the sale as fast or slow as you like. Simply get in touch with us to discuss your specific requirements in detail. Accelerate Homes work with the market leaders in the quick house buying industry. Our recommended partners have helped thousands of families sell their home quickly and securely. No hidden costs: Selling a house shouldn’t cost you the earth. In fact, it shouldn’t cost you a penny. That’s why Accelerate Homes only partner with companies that do not charge fees and have no hidden costs. Yes, selling your home with us is free! Reliable and fair: All our recommended partners are members of the National Association of Property Buyers and members of The Property Ombudsman, which means they abide by strict guidelines to offer you more protection. Quick cash: Our partners have significant capital funds ready to purchase your home, which eliminates the risk of being caught up in a chain of backlogged buyers. It also means we can guarantee the best possible price on your home. Your needs first: We have built our success on putting your needs first. We believe that everyone should be able to choose when and how they sell their house, and that’s why we strive to make this a reality for all people across the United Kingdom. Cash advances: Often our clients need assistance when waiting for the sale to be finalised. Our partners are able to offer cash advances in certain cases. Reliable and flexible: Accelerate Homes takes the “WHEN” and “IF” worries out of selling your home. Assuming an agreeable price can be found, our partners guarantee to buy your property, no matter what the condition or timeframe. All you have to do is tell them when. Accelerate Homes work with a select group of cash buyers who guarantee (price pending) to buy any home, in any condition and any location in the UK, regardless of your reason for selling. Divorce: Going through a divorce is an emotional time, so let us take one stress away. Our partners can purchase your house quickly and easily so that you can move on with your life sooner. Repossession: If you are facing the threat of repossession, we can help! Our partners can purchase your home within a matter of days and put the brakes on eviction. If court proceedings have already commenced, don’t worry, it’s not too late. Financial difficulty: If you’re experiencing financial hardship, do not suffer in silence. Our partners can purchase your home and help you recover. Call us for a completely discreet and confidential service. Relocation: Do you need to move urgently to another city or country? The need to relocate can often be sudden and arrive without warning. Our partners can purchase your home within a matter of days so that you can be where you need to be sooner. No luck at an auction: If your house has failed to sell at auction, it’s likely you’ve been left with a large sum of fees. Unfortunately, this is an inherent risk of selling through an auctioneer, and often these reasons are out of your control. Don’t feel helpless.